Drones on golf courses have many terrific uses including helping to market and maintain the course. Creating professional golf course drone videos is an exceptional way to increase memberships. Drones can also survey a golf course to assist in the planning and maintenance of the golf course to a high standard. 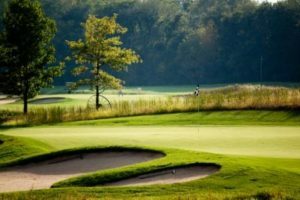 This article along with terrific videos will show you the full range of benefits, which drones provide in the promotion and maintenance of a golf course. Over the coming years, you will see how Golf Course Owners, Green Keepers and Maintenance Teams will view the drone as a very important tool for the marketing and upkeep of their golf course. Golf courses are beautiful. However, it is not always easy to show the overall beauty of a golf course using just ground videos. With the latest affordable quality drones, a Golf Course Marketing team can now easily capture the immense beauty of the golf course, its clubhouse and the surrounding countryside to really promote and increase memberships. Drones Produce Quality Film: All of the latest drones come with 4k cameras and have top of the range six axis stabilization technology so it is pretty easy to film top quality aerial video. To get an idea of the quality from the latest drones, please see the below drone golf course videos. Drones Are Affordable: Drones are very cost effective when compared to renting a helicopter and film crew which can cost thousands of dollars. Prices for professional quality filming drones range from around USD 900 upwards. Even the smallest golf course can afford a drone and use one regularly to film across the 4 seasons. Playing golf in the fall is an awesome feeling. Also, new videos can be produced each year to show how a golf course is maturing. Interactive Hole By Hole Aerial Video: A virtual tour can help in promoting a golf course. It can also assist with retention of memberships by assisting existing members to improve their game by understanding the golf course better. Being able to study each hole using interactive golf videos will help improve a players game. It will allow them to read each hole and make better club selection. This will ultimately bring down their golf handicap. Which is what every golfer wants. The most scenic of golf courses will have a wide variety of flowers, fauna, shrubs and trees. The health of these plants and vegetation is very important to the beauty of the course. Being able to prevent pest infestation and disease is vital to the health of a golf course. Early morning golf course flyovers will allow maintenance teams to survey and evaluate all aspects of the golf course and get a full picture quickly before the golf course opens for play. This allows maintenance teams to respond quickly if their are any aspects around the course which require urgent attention. 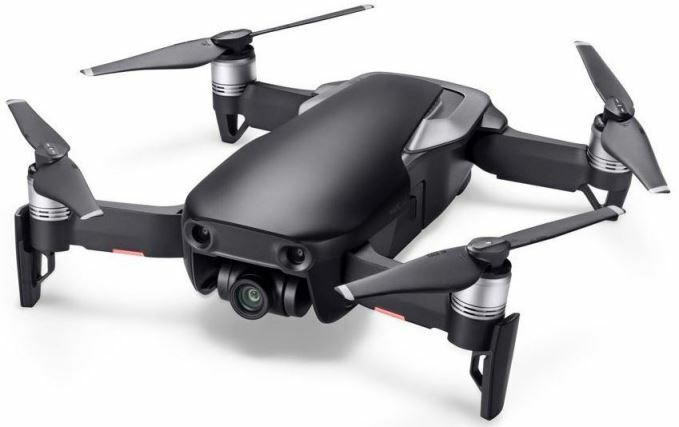 Along with aerial videos, drones such as the latest DJI Mavic 2 Zoom, the Mavic Pro fold up drone or the DJI Phantom 4 Pro can capture photogrammetry images of the golf course in 4k quality. The DJI Inspire 2 with Zenmuse X7 camera can capture superb 6k quality film. The photogrammetry images are captured using the camera which is mounted on the drone. The drone then flies using autonomous waypoints of the golf course, taking photos every 0.5 or 1 second intervals. This generated hundred of photos of the golf course. Then specialized photogrammetry software is used to stitch the many hundreds or even thousands of photos together to create the 3D Maps of the golf course. This can be particularly useful if the golf course is having persistent problems with flooding in one area. Photogrammetry maps are also terrific if the golf course is expanding and for major landscape projects. Here is a terrific article which explains everything regarding Photogrammetry and Lidar sensor technology. Golf course design and construction very much depend on the topography of the land area. Designing a golf course is a massive project and require very large budgets. As mentioned above, Golf Architects and Project Managers can use drones to assist in the surveying of the land mass to assist with design by creating 3D Photogrammetry imagery and LiDar maps. When construction starts, the aerial film from the drone will be essential to monitor the progress of the project. A daily flyover will show the progress of landscaping, the development of water sources, surveying the build of the clubhouse and parking etc. When the seeding takes place, it will also be very easy to view the golf course and check for patches in the seeding. Using a drone with multispectral sensors will also assist greatly in golf course construction and maintenance through providing vital data on irrigation along with the health of grass, flowers, shrubbery and trees. The following are some terrific videos of very scenic golf courses taken by drones. 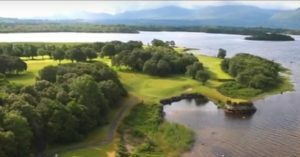 We start off with an absolutely stunning video of very scenic Killarney Golf Club in the South West of Ireland. This is followed by a showreel of some of the finest golf courses across the UK including St Andrews. There is also an example of a clickable interactive hole by hole golf course video below. Another video is surveying the construction of a new golf course. Enjoy these drone golf course videos. More than just a Golf Course, the Killarney Golf & Fishing Club in County Kerry, Ireland is surrounded by some of the most stunningly wild and magnificently rugged countryside. This spectacular lakeside location is next to the Killarney National Park and is part of the Ring of Kerry. The Killarney Golf Course has held the Irish Open on 4 different occasions in the past. Just fantastic. Enjoy. This showreel is from a company called Flyover 18. This professional golf course drone video has clips from St Andrews, Nefyn and Heythrop Park to mention a few. You can view some more professional golf course drone videos from Flyover 18 on Vimeo. They specialize in the filming and creation of professional quality golf course videos. Here is an excellent interactive video of a golf course. You can easily jump from hole to hole by clicking on the numbers at the top of the video. Now these buttons only work on a computer. However, you can see the benefit in this type of golf course video for marketing. It is also a great video to assist members in making better choices with club selection when playing the golf course. This interactive golf course drone video is from Sky Eye Media and was captured using an Spyder Octocopter. This drone is very strong and is designed to carry large cameras such as the Red Epic or Alexa Mini with ease. 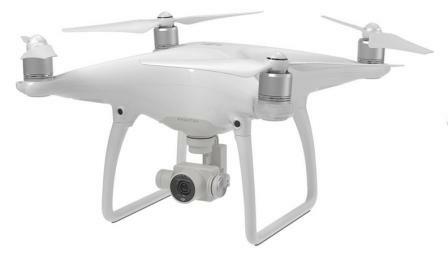 Sky Eye Media use top of the range DJI Inspire 2 and Phantom 4 drones. The Phantom 4 Pro is a great price and a terrific quadcopter. The Phantom 4 has many intelligent flight modes, which make filming really easy, The Phantom 4 Pro also has obstacle detection and collision avoidance technology, which is practically essential when aerial filming on a golf course. This videos captures the construction of the Cape Club golf course in East Falmouth, MA. It is filmed with a DJI Phantom 3 Pro which sure gave great quality aerial film and very easy to fly drone. To finish off, I will leave you with a terrific golf course drone video compilation. Magnificent aerial views of some very scenic golf courses.